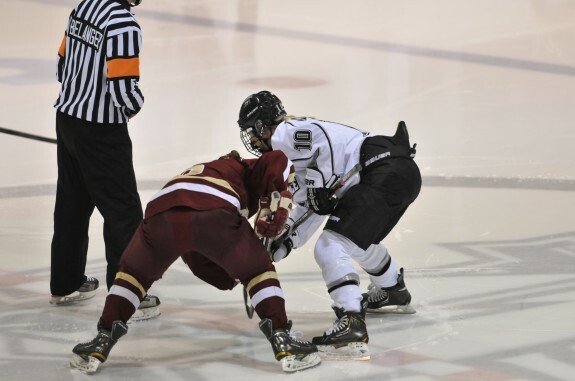 Women’s hockey has grown significantly in the last couple of years. According to the Globe and Mail, Canada and the U.S. have thousands more females playing hockey than the rest of the world and their federations invest more dollars in women’s hockey than the Europeans and Asians. While women’s hockey is growing in popularity, the women’s NCAA division I hockey tournament still isn’t on television. That’s a travesty in my opinion. If you’ve been a fan of women’s hockey, you know that it’s hard to find “any” women’s hockey game on television. To their credit, the University of North Dakota women’s games are occasionally on Midcontinent and Fox College Sports. 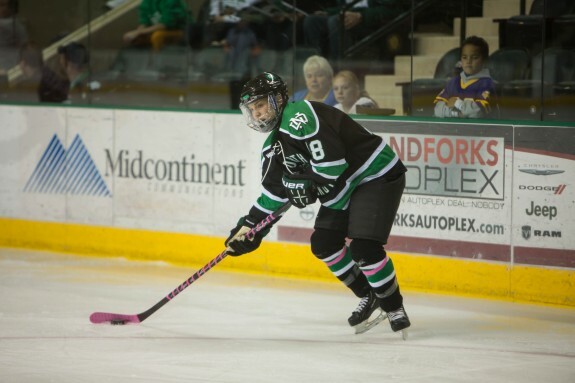 Recently, I interviewed UND Women’s hockey coach, Brian Idalski and I asked him if the WCHA has had a conversation about getting more of their women’s games on television. There’s a few issues standing in the way of getting the woman’s NCAA division I college hockey playoffs on television. Hold that thought for a minute, there’s a problem with moving the start of women’s college hockey. The six Ivy League schools can’t start playing hockey until October. Idalski offered his solution to building more excitement around the woman’s game. Women’s hockey couldn’t be bigger after the Olympics and the growth of women’s college hockey. I asked coach Idalski if it’s time to strike while the iron is hot and move forward and get more women’s college hockey on television while women’s hockey is at an all-time high. When you look at some of the details of why we don’t have more women’s college hockey on television during the NCAA tourney, it would appear that there are many factors playing into this. It will be interesting to see how this plays out. Women’s hockey has grown a lot over the last five years. I believe there is a demand to have the Women’s NCAA division I championship on television. It’s just a matter of how women’s college hockey moves forward and executes this.